Kenkuro puzzles are something that I invented (or at least haven’t seen them elsewhere) and I will try to promote them more. So, starting January 1, 2013, there will be another daily page with Kenkuros! Here is a sample Kenkuro for today. I will also send it later today in the newsletter. 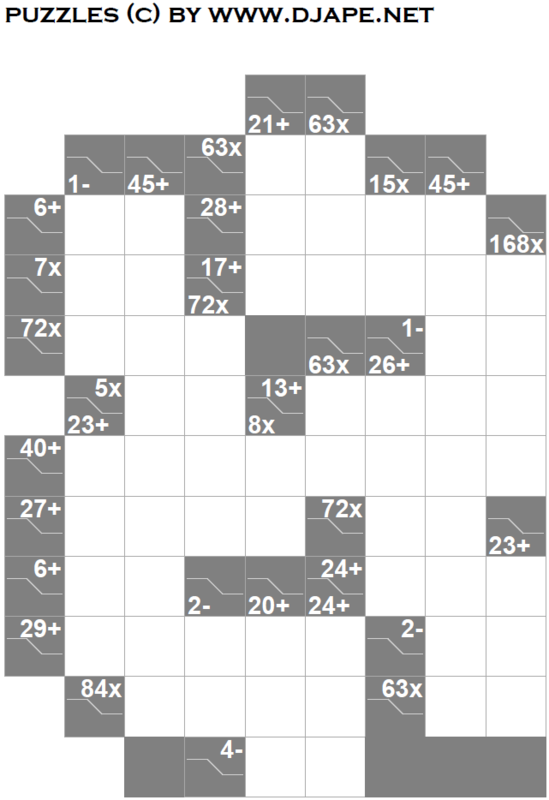 This entry was posted in Free sample puzzles, Kakuro and tagged HARD, KAKURO, Kenkuro, killer sudoku, Samurai Sudoku. Bookmark the permalink. Post a comment or leave a trackback: Trackback URL. Great! I love that thing.